Cerebral palsy caused by medical negligence can have a truly devastating effect on a person's life. It is therefore essential that anyone who has cerebral palsy because of medical errors is provided with the compensation needed to enable them to live as normal a life as possible, and the experts at JMW have helped countless children with cerebral palsy caused by medical negligence to win their fight for justice. The cerebral palsy solicitors at JMW are here to help. If you feel your child or loved one has cerebral palsy due to the negligence of a medical professional, you can call us for a free assessment of your potential claim in complete confidence. You can reach us on 0800 054 6512, or complete our online enquiry form and one of our specialists will contact you shortly. This video shows Charlie, a young client of JMW's who suffered avoidable brain damage at birth and now has cerebral palsy. Charlie's father explains the difference having JMW on their side has made to their lives. Cerebral palsy is a term used to describe a group of chronic conditions affecting body movement and muscle coordination. It is caused by damage to one or more specific areas of the brain and is not an abnormality of the nerves or muscles. Cerebral palsy is a general term that covers a huge range of non-progressive brain damage, which can vary in severity from fairly mild (causing minimal physical impairment), to severe, resulting in profound physical and mental disabilities. Cerebral palsy is a permanent condition and cannot be treated. There are various different types, including spastic cerebral palsy, ataxic cerebral palsy and dyskinetic cerebral palsy. The condition is relatively rare, and is even more rarely caused by negligence. However, if there is evidence that negligence was involved, for the lawyers investigating these cases the focus is usually the care provided to the mother and unborn child during labour and the period shortly after birth. Read more about cerebral palsy diagnosis here. There are two types of oxygen starvation during birth - total asphyxia (also known as acute profound asphyxia) and prolonged partial asphyxia. Acute total asphyxia has a number of possible causes, including the placenta separating from the mother's uterus (placental abruption), the blood supply in the cord being cut off (cord occlusion) or the cord being born before the baby (cord prolapse). In these cases, the baby experiences a sudden cut-off of its oxygen supply. It is generally agreed that the first ten minutes of lack of oxygen can be withstood by a mature fetus, but thereafter the damage is progressive and proportionate to the continuing oxygen deprivation. Experiments suggest that the most that a mature fetus can withstand, in terms of acute deprivation of oxygen, is 20 to 25 minutes. After that, the baby is likely to die. Prolonged partial asphyxia is often caused by the blood supply in the umbilical cord being intermittently cut off. It is generally agreed that to cause brain damage this would have to occur for at least two hours prior to birth. Establishing the point at which the baby's brain becomes damaged is a key issue in these types of cases, which can sometimes be aided with an MRI scan. However, these can be very expensive, and families struggle to afford them without financial help. This is where compensation comes in. The money awarded is intended to cover the cost of everything that enables a person to lead as fulfilling a life as possible in spite of their avoidable disabilities. Without this compensation, they would not have access to the 24-hour care, specialist accommodation, equipment and therapy they need. Due to the high level of assistance required, a child with cerebral palsy can receive an amount that initially seems very high, often running into the millions of pounds. However, this amount is carefully calculated to ensure all the high level of care required can be provided throughout their life. Despite this, there can be a misconception that such an amount represents a 'windfall' for the family. To understand how far reaching these misconceptions are, we carried out a survey asking for people's opinions on compensation amounts. The results were startling, and highlight a perception among many people that compensation amounts awarded to those whose lives have been drastically affected through medical negligence seem too high. This perception is incorrect, and to challenge it we have created the below infographic.The visual explains why large compensation awards are often necessary for children with severe cerebral palsy, and shows the many different factors that must be considered when deciding on a final figure. It also includes a breakdown of typical figures involved. The infographic, which is based on a JMW case that settled for £5 million, shows that even though the amount seems high, it only covers costs to help with things most people take for granted. People living with cerebral palsy will often require specialist equipment to help them better cope with their condition. In some instances, they will require specialist accommodation, and we explore why this is so important and the difference it can make to lives here. 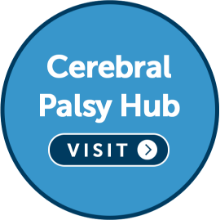 For more information about cerebral palsy, visit our dedicated Cerebral Palsy Hub here. What Can Lead to Brain Damage During Development and Birth? There is no combination of factors that always results in cerebral palsy, and it is well recognised that the foetal brain is well equipped to sustain periods of relative deprivation of oxygen. A surprising number of babies who have a very difficult time during and soon after birth go on to do very well, and conversely, some babies who have fairly uneventful births develop cerebral palsy. Sometimes, there may be signs that the baby was in distress during labour and steps should have been taken to deliver the child sooner, for example with a Ventouse, forceps or caesarean section. It is often a delay in delivery that causes brain damage as a result of the baby being deprived of oxygen. There are also other causes of cerebral palsy mainly occurring in the time shortly after birth. These include hypoglycaemia, which can be caused if a baby’s blood sugar levels are not monitored effectively, Kernicterus, caused by mismanagement of newborn jaundice, and a failure to diagnose an infection such as meningitis. How Will the Claim Be Investigated? The first step is to obtain full disclosure of GP and hospital records for mother and child. These must include records of the baby's heart monitoring (CTG traces) and, in particular, any brain MRI/CT scans, or cranial ultrasound scans. We also look at any relevant guidelines from the National Institute for Clinical Excellence (NICE) or the Royal College of Obstetricians, which might assist in identifying what monitoring/assessment or treatment that should have been provided. Following a detailed analysis of the notes, a witness statement is taken from the mother, and possibly her partner (or any other person present at the birth), which is carefully cross-referenced with the relevant medical records. Expert opinions are crucial to establish whether the medical staff were responsible for the baby's brain damage. A team of experienced doctors and midwives are called upon to prepare reports on the care provided to mother and baby and whether critical mistakes were made. If the expert evidence indicates that poor care has led to the child's cerebral palsy, the solicitor and barrister will begin making preparations to progress the claim. Occasionally, a full admission is made when a letter is sent to the trust responsible for the care provided setting out the allegations. This can enable the child to access an interim compensation payment, which can be crucial to ensuring the child has the specialist care they need. A case manager will be appointed and through them the parents can obtain the necessary aids and equipment to care for their child. This can include a vehicle that can accommodate a wheelchair (if the child is wheelchair dependent), any relevant therapies such as speech, language and physiotherapy, as well as suitable accommodation if appropriate. If the trust decides to defend the allegations then the case will continue until an admission is made, an out of court settlement is agreed, or it finally goes before a high court judge to decide the outcome. However, few cases ever reach court and most are settled successfully at a much earlier stage. The child's lifelong care, therapy and accommodation needs, together with their earning potential had they not suffered the negligence, determine the value of their claim. A team of experts, including medical professionals, care experts and various therapists, is instructed to assess the child and what they need to enjoy a good quality of life. Very detailed witness evidence is vital to establish how much compensation should be allocated for the child. Witness statements will usually be necessary from the child's parents/carers to try to build up a picture of the child and their day-to-day life, as well as including details of their care requirements and any behavioural problems. It is also important to consider whether any independent witness evidence is necessary, for example from teachers, support workers, doctors, therapists and the case manager. Once all the necessary evidence has been obtained, it will be exchanged with the trust's solicitors. Usually before the trial a meeting takes place with the trust's legal team (which is usually attended by the family) to try to tie up the outstanding issues and ideally to agree the amount of compensation payable. If no settlement is agreed here, the case may progress to a trial for a judge to determine the outcome. For a family that has been left devastated by their child's avoidable and significant injury, and consumed with worries about how they fund their specialist care, there is a significant sense of relief when their case settles. JMW has secured many multi-million-pound compensation settlements, helping our clients to access the accommodation, care and equipment they need in order to cope. Read more about these cases here. These cases are very complicated, and when thinking about making a claim it is therefore important to speak to solicitors who are specialist, experienced and endorsed by independent legal guides. This is vital to ensure your case is successful, and that the maximum amount of compensation is awarded. The team at JMW is highly skilled and experienced in these types of claim and can provide the guidance that will not only help you and your family now, but for many years to come. Legal aid is still available for most cerebral palsy claims, and JMW is able to make an application for legal aid on behalf of families. Hugely complex in their nature, there are often many issues to resolve, particularly when determining how the brain damage was caused. However, the future care of a child who may never walk or talk because of medical errors is at stake. At JMW we meet these criteria and, as well as being professional and efficient, we deal with these claims with sensitivity and understanding. It is essential to have a solicitor experienced in this field of medical negligence law because these cases are often strongly contested. It takes the skill of a specialist solicitor to recover the maximum amount of compensation which can be in the millions of pounds. Legal aid is available for these claims and most children will qualify as it is only the child's income and assets that are taken into account. For an assessment of your potential claim, please complete our online enquiry form and one of our specialists will contact you shortly, or please contact us on 0800 054 6512.